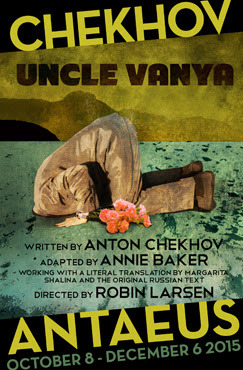 If you are in the mood for some solid, classic theatre, come over to the NoHo Arts District in the Valley for Anton Chekhov's Uncle Vanya. The Antaeus Theatre Company was originally created as a project of Center Theatre Group devoted to producing classic theatre with highly trained actors. The company continues to mature and grow as it creeps up on its 15th year anniversary. The show runs from October 8 - December 6 and you can purchase tickets ahead of time here. Coming up on the 25th year!